Giveaway starts on October 25, 2012 and shall end on November 4, 2012. 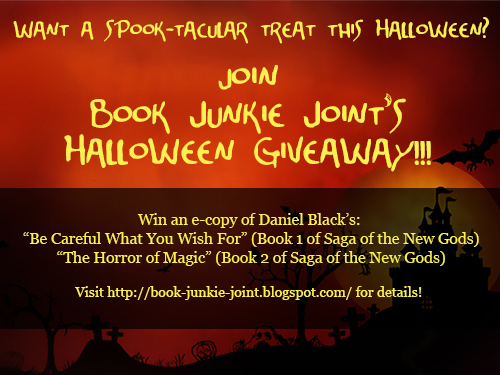 I'll only pick out one lucky winner who would get one e-copy of each of Daniel Black's books! The lucky winner shall be contacted through email and must reply within 24 hours. If he/she fails to reply within the allotted time, he/she is deemed to be disqualified and a new winner will be picked.